The first thing I picked up was this beautiful H&M lace dress, which i'm planning to wear to Wireless Festival next weekend. It's really loose fitting and comes a few inches above my knee, perfect for summer! The only thing that is a little annoying, is that the slip underneath is super see through so i'm going to have wear something underneath. Also from H&M I picked up these super cute midi rings, which came in a pack of 15 for £3.99, what a bargain! I've been wanting some midi rings for ages now so i'm pretty happy I found these! 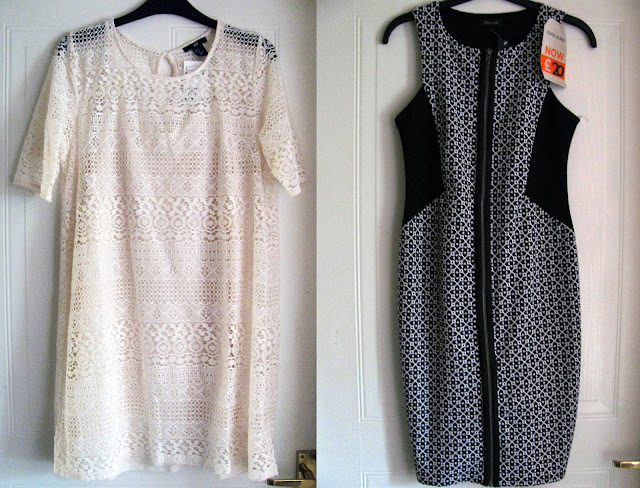 The last thing I picked up was this gorgeous River Island dress, which was reduced to £20 in the sale! I managed to pick up one of the last in my size and it fit's so nicely as it's really flattering. Unfortunately I can't find any of these items online, so if you're looking to pick them up head into your local stores. Have you read my June Roundup, which I posted earlier this morning? I love those dresses!! They are my favorite type and they will definitely be perfect for the summer! !